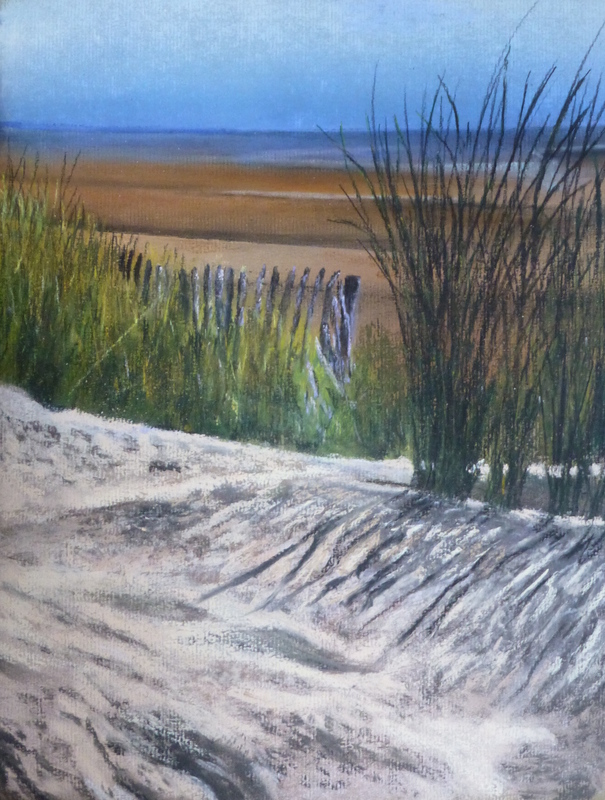 On a bright day at the end of the summer we took a walk along Formby Beach. The sand dunes are gradually being devoured by the sea, but even so the beach seems to go on forever. This was a view as we made our way back to the car. I love the rivulets crossing the beach. In low light they sparkle whilst the sand around them darkens in the shadow, giving interesting patterns away into the distance. Well you sometimes think you have some good ideas. I was pondering over what I could do as I stayed with the family over Christmas and thought that another night scene might be good. 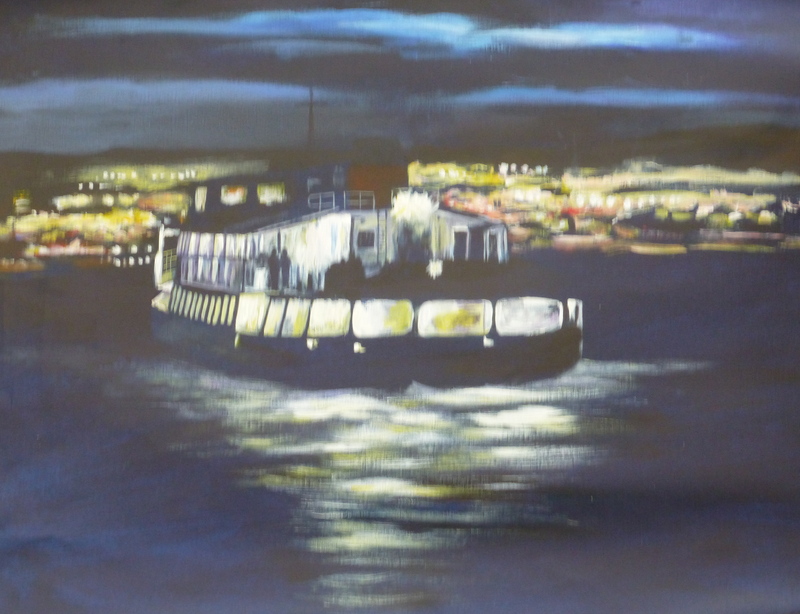 The ferry was well lit with the lights on the banks on the Wirral giving further interest behind and the boat’s light on the water in the foreground. But when I finished the I wondered if there is still too much dark.Was the image arresting enough?Perhaps it wasn’t the good idea I thought it was. Maybe it will grow on me in time. In the meantime I’ll get on with another one.